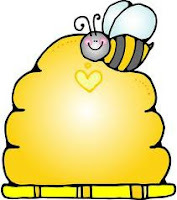 Okay, sorry this is a day late, school started yesterday, and hubby was gone, need I say more! so here goes the winner is post #10 Cynthia, it was picked by random number generator but of course I couldn't get that picture on here! So Cynthia send me your mailing address and I will get this right out to you! Congratulations! 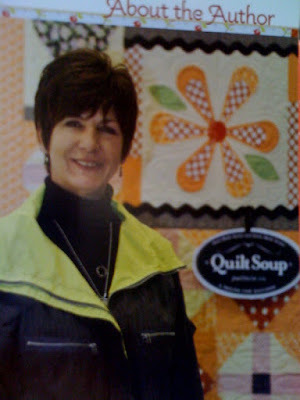 And don't forget Quilt Soups Barbara Jones will be signing her book at the shop on Saturday August 29 from 11-1 pm. Its Shelby's 18th birthday today!!!! Hope it was a great one!!! Love you so much! 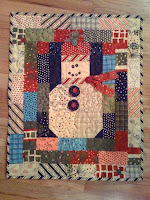 Quilts Soups new book & a giveaway!! We have been waiting along time to tell you about this, and its finally here!!!! YAHOO!!! 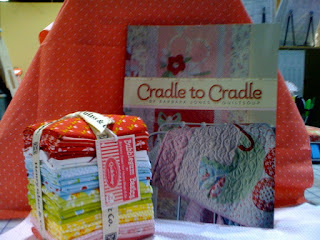 "Cradle to Cradle" the new book from Quilt Soup has finally arrived, We are giddy! her line bubblegum basics has done exceptional in the shop, and we are so excited to tell you that she will be doing a book signing Saturday August 29 from 11:00~1:00. So come meet Barbara and get your book signed and have some fun! 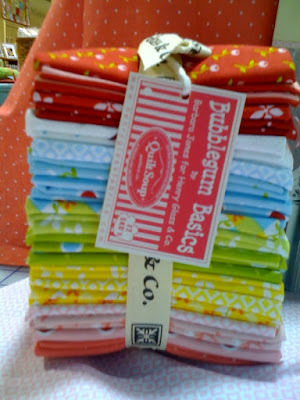 So leave a post and you could win the fat quarter pack of bubblegum basics Leave a comment about the shop, about Barbara or just whatever! Then come to the shop on the 29th and enter to win another prize, but you must come to the shop for this one!! Okay get ready to post! Finished, New and a Giveaway! So much to tell you I don't even know where to start~so here goes! First, the picture is of another of my finished projects, ya, I know I have been patting myself on the back alot lately! 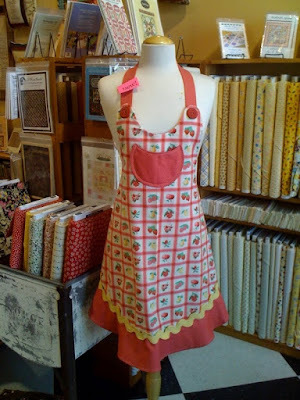 It is the sassy little apron from Barbara Brandeburg. Second, we have so much NEW, its crazy~Santorini from Lila Tueller, Panache by Moda, Animal Party from Robert Kauffman, American Retro from Windham, Chic Bebe by Davids Textile, Precuts from Moda~Simple Abundance from Bonnie and Camille, Odyssea by Momo, Birdie from me & my sister, Authentic by Sweetwater, and I am sure I missed some! Plus patterns and books! You better hurry this some good stuff! Well, I am off to think of my next project! Oh, I almost forgot.....and I will be having a giveaway, I'll post on that tomorrow....., it's in honor of a new book release! Can you guess who? she loves soup! Pink, Brown, Aqua, Brown!! what more could you want! This came in today and is such a cute line called Chic Bebe by Davids Textiles. 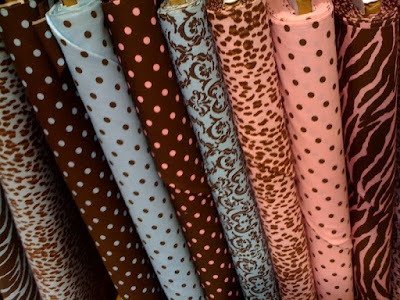 Its trendy dots with a little animal print and a small damask in our favorite colorways pink, aqua, and brown . It would be a darling baby room, skirts, car seat tents and much more you are definitely going to want to come and check this one out! 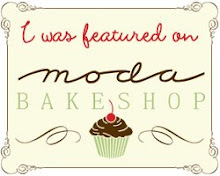 Plus, we have tons of new jellies, charms, and layer cakes in all the fun new Moda lines! Hurry! they go fast! Oh my gosh! I think the UPS guy is sick of us. 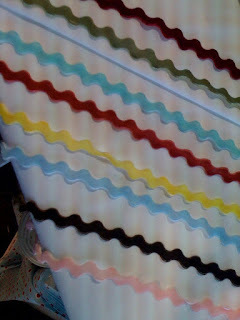 We have received so many new lines of fabric at the shop, I really don't know where to put it. I can't even sleep because I am thinking about all the great things I can create! I am going to try and make a post of one line or something new all this week! So, tonights post is about this great velvet rick rack that comes in the yummiest colors, it's about 1/2 inch wide and it doesn't curl when you wash it. For any of you looking for rick rack we have a huge selection at the shop. Okay, stay tuned for lots of good stuff! I am offering a giveaway on my facebook, and its so easy! 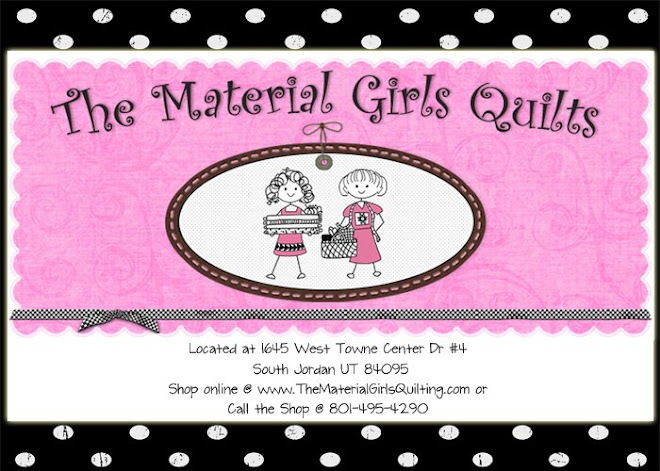 Just go to facebook and become a fan of the material girls quilts, leave a comment and you will be entered to win! easy peasy! 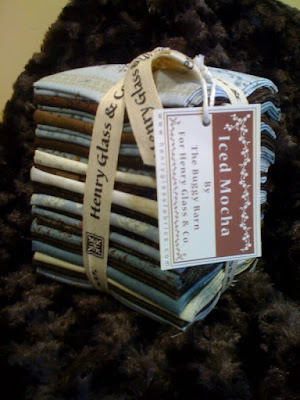 This fat quarter bundle is Iced Mocha from Henry Glass, the blues and browns are sure to be everyones favorites. Good Luck! 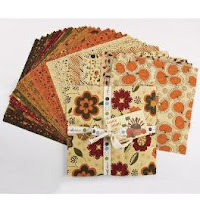 Fall arrived at Material Girls today! The new line from Moda " Gobble Gobble by Sandy Gervais . The colors are fantastic and the panel is"Oh so cute!! (I have already finished a project and will have it up soon!!) Your gonna love! 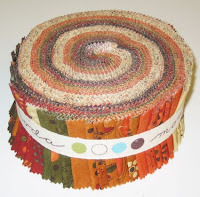 It will be hard to choose just a couple of pieces so grab a charm or a layer cake and start that Fall project.